A year's supply for Lotus ONE LIME+ Edition Model 2015! Guaranteed savings! You further save on transportation costs and unburden the environment! High-quality activated carbon with an iodine retention of 1200! - PiVitalis for top taste! Highly developed ingredients of magnesium, calcium, tourmaline and other special ceramics with a high mineral content and also Quartz sand, magnet and EM ceramic (EM=effective micro organism, according to Professor Hiagara’s research) that provide a great taste adventure. In very calcareous drinking water there is, in comparison to the ONE cartridge, 80% more calcium removed with a pre-filter micro sponge. The lime+ pad consists of Ion exchangers & activated carbon. 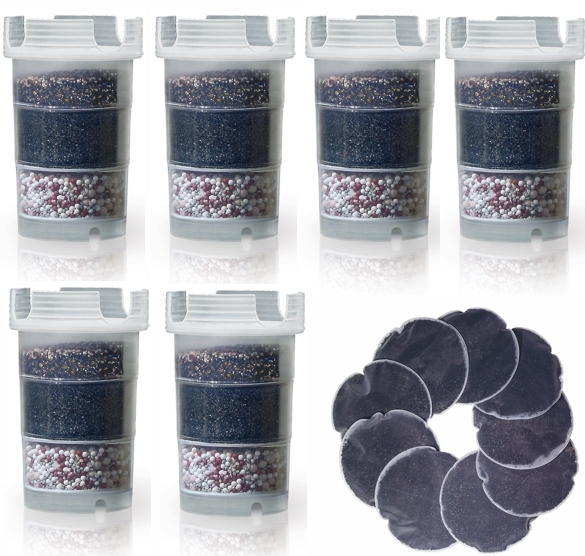 The filling quantity conforms 80-90% of the upper chamber of the ONE filter cartridge. One lime+ pad is designed for a usage of 6 weeks. If there is an extreme high content of lime in your drinking water, you can change the lime-pads as needed! The additional new developed Lotus lid for the Lotus ONE filter cartridge is available in every annual lime package. 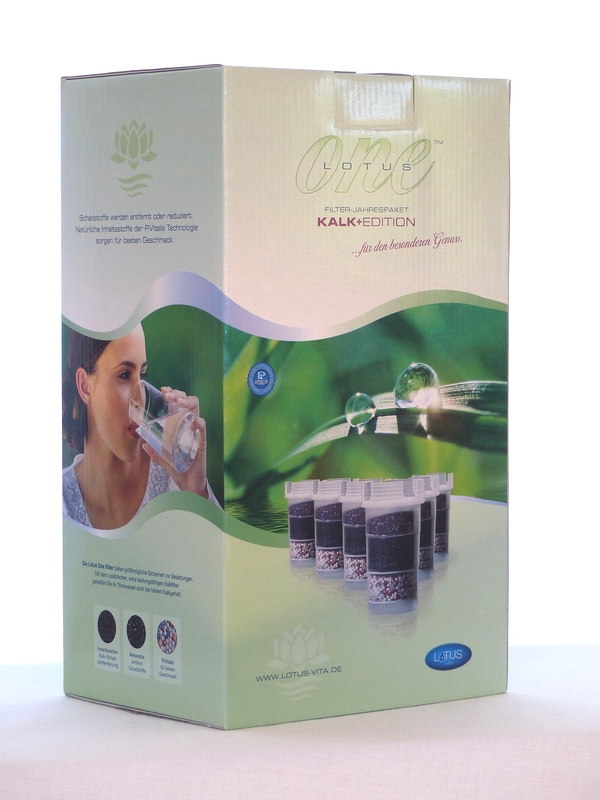 We definitely recommend you to use the Lotus ONE with a Pre-filter or with Lime+ pads.